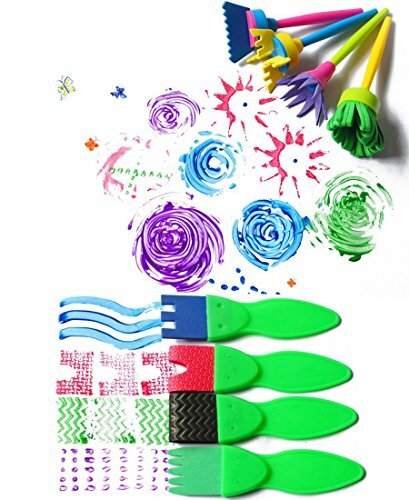 25PCS Early Learning Different Pattern Painting Brushes - A Perfect gifts for kids to develop their imagination fully;Easy to Handle and Clean;Durable for repeated uses. 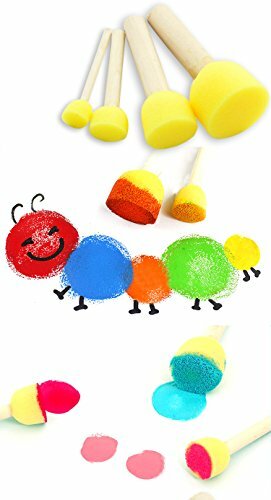 This is an innovative entertainment style,keep kids away from electronics and had hours of fun with these funky designed painting brushes,allow her/him to create different arts with them given the diversity of what is included.Superbly pigmented and super attractive bright colors that are both pleasing to the eye and picture perfect for most paintings. 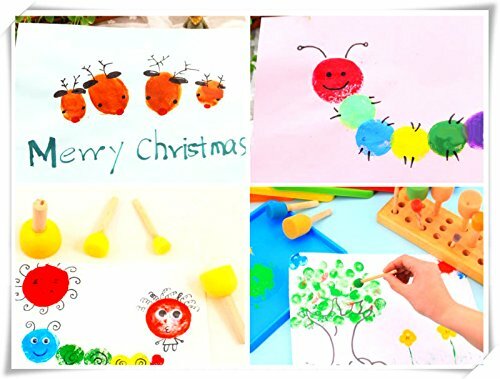 It is perfectly used by children for their graffiti,which help children to develop their imagination fully.They are widely used in school,art studio,birthday party and other situations when children need to make DIY crafts.Like Christmas,Thanksgiving,Birthday,Graduation for both kids and adults painting needs. 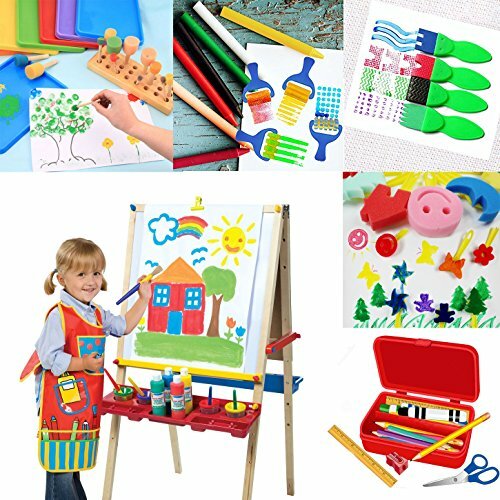 "PERFECT GITFS" ENDLESS POSSIBILITIES FOR "LITTLE ARTISTS" - Unleash kids imagination and creativity with the 25PCS different shapes and textures paining tools,the toylike and inviting brushes create endless opportunities for little ones imagination.Suitable for Christmas,Thanksgiving, Birthday,Graduation for both kids and adults painting needs. 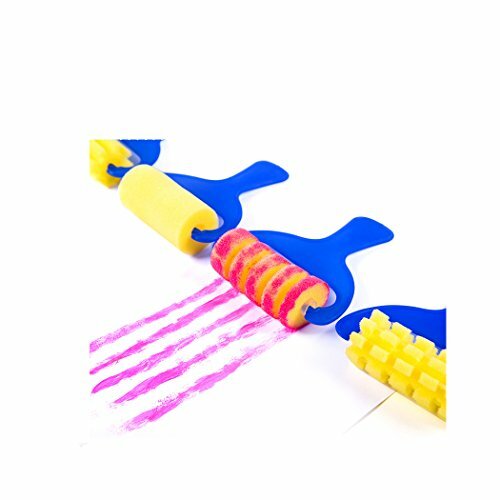 EASY HANDLING AND LEARNING - Each art brushes are exclusively designed for kids comfortable hold.Easy-to-do painting with the drawing tools that can help children strengthen their hand/finger muscles and develop fine motor skills. Also the bright colors and lovely shapes help to train kids focus and occupy them a little longer time on one thing. 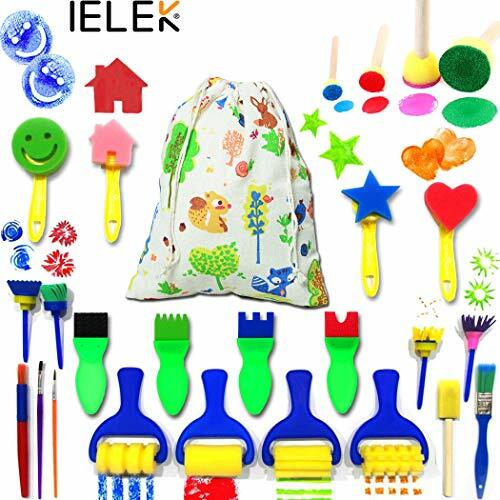 SUPER EASY TO CLEAN - Kids get much more excited about the variety of options to explore the different patterns and shapes they can create with the tools.ALL brushes are safe and washable for repeated uses,easy to dry and clean up,brushes with handle will avoid to touch the pigments directly. WHAT YOU GET - Package include 25pcs learning assorted painting tools,totally 6 different types,like 4XStamp flower painting brushes,4Xsponge roller brushes,5Xpaint brushes,4Xround sponge brush,4Xshovel brushes,4Xdifferent pattern brushes.This special paint tools is suitable for artist teens or professional painters. 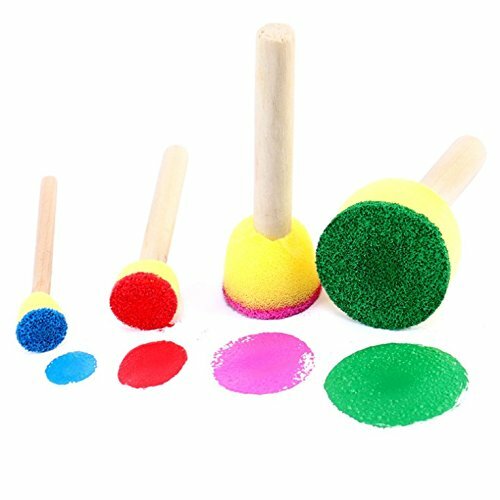 RISK FREE GUARANTEED - Quality guarantee,lifetime warranty for any issues.5-star customer service.If you're not satisfied with these kids sponge painting brushes,please feel free to contact us for money back,we'll reply you within 24 hours.